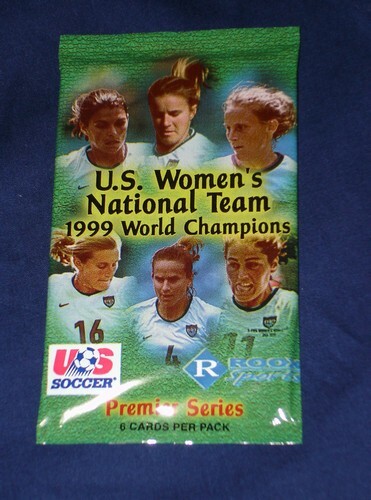 This Hobby Soccer Box includes 48 packs of cards from the officially licensed Football card set of the US National Gold winning Soccer Team that won the Gold in the 1999 Women's World Cup of Soccer (Football for those across the pond). Very Limited Release from Roox Corp!!! These cards are foil packaged and are in 6 player PACKS. The 6 players are randomly selected (mechanically). There are 19 total players in the complete set. There are 48 packs in a box. 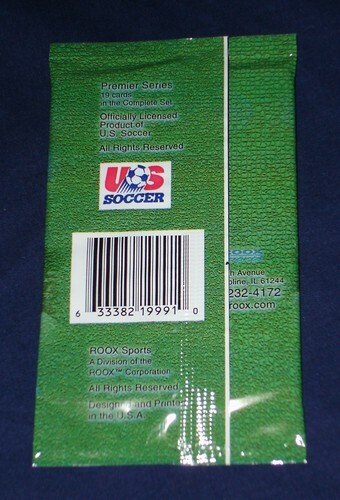 The retail price for a box is $96 and $2.00-$3.00 per pack.